Used by both the military and corporations, these headsets are for use by crews of large ships with large, integrated systems. 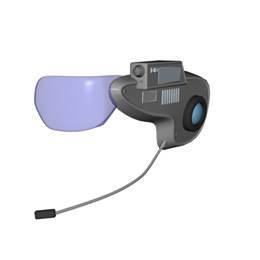 Each headset is configured to the workstation of the person using it, so that much of the most pertinent information can be simplified and projected onto the eye piece. Most large ships will have a communication frequency for specific departments, such as engineering or weapons, and everyone within that department will have their AVD tuned into that frequency. These items increase crew efficiency and communications, allowing rapid response to crises. Range: 1 mile. 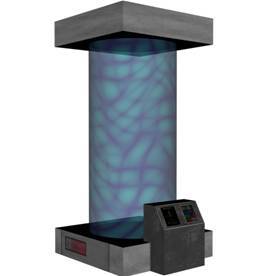 These common scanners function similar to those on a ship. They detect mass, motion, heat and electromagnetic energy. 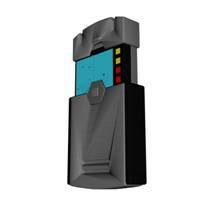 They are used to track living creatures and power sources, detect motion, heat and power usage. They are often used by the military, law enforcement agencies, and expeditions to chart new or unexplored worlds. It has a range of one mile. A much more powerful version of the general purpose scanner, portable surveyors are sensitive geological and molecular surveying instruments that can give detailed chemical breakdowns of atmosphere, scan and identify all naturally-occurring elements (as well as many manufactured materials). It is extremely useful in analyzing compounds in the atmosphere of unfamiliar worlds, and in surveying for valuable minerals and geologic stability. It has a range of 50 miles for general information, and 2,000 feet for detailed analysis. No explorer would be caught without one. These handy devices keep ground expeditions in contact with orbiting mother ships or satellites, and can even, with the right codes, allow for limited remote piloting. Besides direct communications, they allow complete access to a ship’s main computer and many of its systems. Each one is coded to its mother ship, and all require at least a thumbprint identification and a 12-digit alphanumeric access code. Some have even more stringent security. They are extremely useful when performing ground surveys, and can be easily encrypted and secured for more clandestine use. Scouting expeditions use them to stay in contact with ships in orbit while exploring new worlds, Special Forces units use them to contact their command ships while in enemy territory, and pirates loitering around star ports use them to alert orbiting pirate vessels that a fat prize is taking off. Range: 50,000 miles. Primarily used by the military, mercenaries, or law enforcement; this combination optical system and radio features nightsight, infrared, thermographic and telescopic vision features. It also has a 200-mile range radio transceiver with pre-set decryption capabilities for encoded channels. All optics have a range of 4,000 feet. Magnification is x20. Also includes a targeting sight that adds +2 to aimed shots. 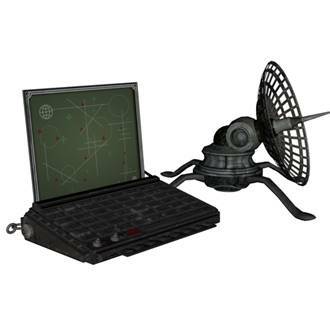 The “One-Eyed Jack” headsets used by the Colonial Marines are another version of this type of device. Cryogenic technology is a very important component of human technology. Though it saw more extensive use before Negative Mass Drives reached their current speeds, they are still used on long voyages, during medical emergencies, and play a large part in keeping consumables fresh for transport from one star system to another. 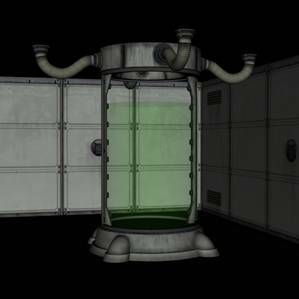 Emergency Stasis Units are usually found in medbays and onboard ships with limited medical facilities. Their primary use is to stabilize and preserve injured or afflicted individuals who cannot be healed onboard. In cases of severe trauma, exotic disease, or other life-threatening injury; the subject is placed in the E.S.U. and quickly transported to the nearest well-equipped medical facility. An E.S.U. can maintain a subject’s vitals for 30-days. E.S.U.s come with a hover system for easy transportation, an I.V. drug-delivery system, and vital statistics monitoring gear. These cryongenic tubes use a gel immersion system to keep items perishables from spoiling. They are not used for sentient beings, or even pets, because the gel has been reported to cause horrible nightmares. In some cases, subjects reported being completely aware of the passage of time and described an intense sensation of smothering that seemed to go on forever (presumably the duration of their suspension). The gel is tasteless, rinses completely away with water, and is ideal for transporting rare plants, fresh produce and fragile complex molecular structures. This device is portable, but must be transported by vehicle due to weight. Gel must be swapped out once every 60 days. Cost: 30,000 credits. Gel costs 500 credits per unit (one unit=1 tank). 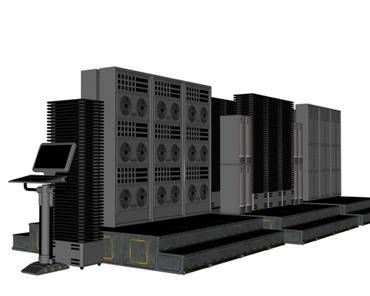 This type of cryogenic freezer is specifically geared for the scientific community. It has a suite of built-in scientific sensors that allow broad spectrum analysis and diagnosis of the subject unimpeded. The freezer, which comes complete with internal manipulator arms, can also perform surgery on patients in suspended animation. However, it is not fit for long-term use. The gel used has none of the negative side effects of industrial cryotubes, but is ice cold, uncomfortable, and has a useful period of only about one week. Cost: 80,000 credits. Gel costs 200 credits per unit. 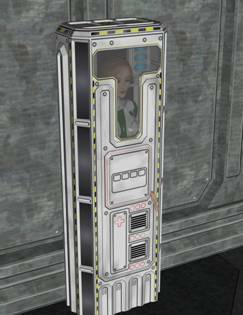 When most people think about cryonic suspension chambers, they are generally thinking about sleeper units. Like the E.S.U.s these work on finely detailed atmospheric regulators and medical injections, as opposed to cryonic gel. They are designed, specifically, for the long-term suspended animation of humans on long space voyages. Most ships taking trips of 30 days or more will generally have Sleeper Units installed. A subject in “deep freeze” uses less than 1/20th of the normal amount of food, water and oxygen. Electrostimulation keeps muscles toned and fit, and the sleep is akin to a dreamless coma. Very basic flight functions and links to the ship’s computer can be tied into individual sleepers for emergency wake-ups. Most Sleeper Units can also function as life pods and are set to eject from the ship and activate a powerful homing beacon in case of catastrophic systems failure of the mother ship. Sleeper units are not portable. Cost: 150,000 credits for a rack of four, many ships come equipped with enough sleeper pods for a standard crew compliment. Individual models are sold at 50,000 credits. 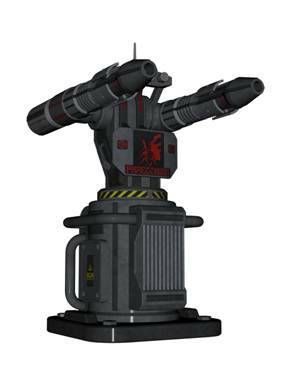 This is a portable, automated plasma cannon defense system designed to secure the perimeters of encampments. 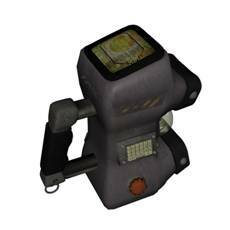 It uses thermographic and infrared sensors, as well as a friend recognition system, to identify enemies and allies. The computerized system can be set to acquire targets based on mass, temperature, or even electromagnetic output. Optionally, it can be set for very specific enemies. Because of its power and cost, it is mostly used by mercenaries and military groups, as well as explorers on potentially hostile and unexplored worlds. This system has a reputation for brutal efficiency; however it also has a reputation for being fairly unforgiving, having taken out friendlies who were running a fever or whose identities were not properly loaded into the system. Damage: 1D6x10 M.D. per dual blast. Only fires dual blasts. Effective Range: 1,600 feet (range can be set in 100-foot increments from 200 feet to maximum range). Payload: Battery pack supplies enough energy for 400 shots. Market Cost: 30,000 credits for the cannon, 5,000 credits for each additional battery pack. This cost-effective and simple automated railgun defense system is probably the most popular model in use. It utilizes simple motion sensor and mass detection technology to identify targets, and friendlies carry a small badge that gives off a scrambled signal when in range. This makes this one of the safest automated systems, but it can also be defeated by experts in surveillance systems and cryptography. Comes with 40 badges. Payload: 2,000 rounds, or 100 bursts per ammo pack. Market Cost: 22,000 credits for the railgun, 2,000 credits for each ammunition load. Additional badges can be purchased for 50 credits for a pack of 10. These small flying defense systems use simple fuzzy-logic and basic programming, flying patrol patterns around a programmed perimeter. The robots can operate independently, or can be controlled by an A.I. They will respond to computer programming or simple verbal commands, and have advanced “friend-or-foe” logic-based identification systems. They can remember over 1,000 faces, relay video and audio data, have thermographic sensors, can be reprogrammed while deployed, and operate with other hoverbots in coordinated teams of up to 12. Mini-laser: 1D4 M.D., range: 600 feet. Rate of Fire: four shots per melee, unlimited payload. 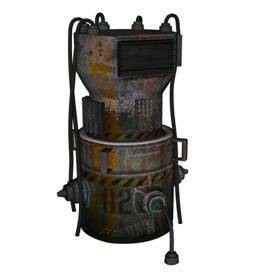 Stun beam: No physical damage, save vs non-lethal poison or be stunned for 1D4 minutes (same as knock-out punch). M.D.C. creatures receive a +4 to save, and lose half their attacks, initiative, and receive -8 to strike, parry, and dodge, instead of being stunned. Duration is halved. Bonuses: +4 to strike with ranged weapons, +5 to dodge, +2 to initiative. Four attacks per melee. Range: 5 miles, with a flight duration of 24 hours. Cost: 7,000 credits per unit. Fixerbots are Xintrin-designed robots, programmed to do basic maintenance. They can hover and are small enough to fit in small areas. While their own technical knowledge is limited, they can also be operated remotely by an engineer or mechanic to perform repairs where they cannot fit. 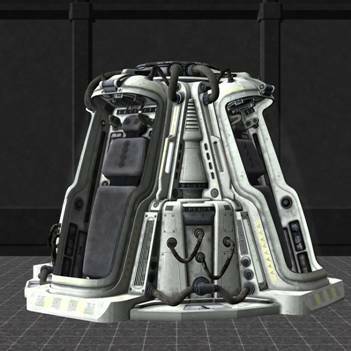 They can also function in space, and can perform dangerous external ship repairs. 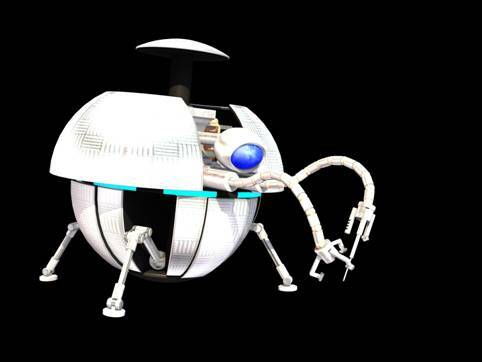 Small ships may only have one or two of these robots, while larger vessels and bases may have dozens tied into the ship’s A.I. or given duty sectors by the ship’s engineer, a third of which are constantly roaming the ship performing upkeep. Also great for home maintenance! Features: Hover at a speed of 20 M.P.H., have a 48-hour internal battery that can recharge by plugging into any standard power port, have two flexible arms; one equipped with a multi-tool and another with a spot welder. They have electromagnetic pads on their feet for working in space. 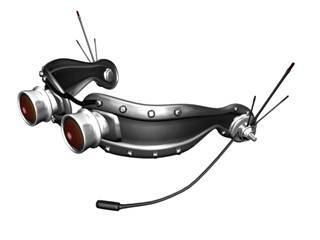 Sensors include full color vision, thermographic vision, mini-sonar (for checking welds and looking for microfractures). Skills: Basic Electronics, Basic Mechanics, Computer Repair, and General Repairs and Maintenance, all at 80%. Note: They cannot analyze complex problems (like battle damage) even with these skills. They will only fix one little thing at a time and cannot see the “big picture” unless led by a live mechanic or controlled by an A.I. Cost: 5,000 credits per unit. Artificial intelligence systems are no longer “miracles” of computing science, particularly in the Terran Protectorate. Their use is fairly widespread by massive corporations, planetary governments and some large ships. There are four classes of A.I., with Class One being the most powerful, and generally used to coordinate Protectorate fleet activity and manage entire corporations or star systems. Class Two A.I.s are often used to run planetary logistics, smaller corporations and etc. A Class Three A.I. 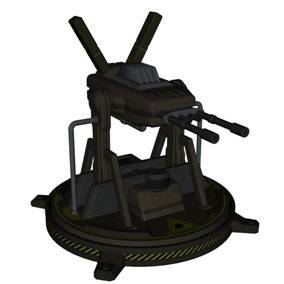 would be used to control large arcologies or buildings, space stations, and are often used as “slave systems” to Class One A.I.s, The smallest, and most common A.I. is the Class Four, which is used to manage colonies and control secondary functions in medium to large starships. They are particularly noted for their use in “seed ships” which colonize other worlds. Prices vary wildly, with no Class One costing below 15 billion credits and Class Fours ranging from 250,000 to a million credits. To create an A.I.’s programming parameters, use the robot creation rules in Rifts Sourcebook One, but limit it to just creating the intelligence. The actual A.I. itself can be as small as a laptop, but the databanks and informational libraries they use to make their decisions vary by class, and can be from the size of a large room, down to that of a desk. Most have safe guards and there are A.I. psychologists who closely monitor their behavior. Humanity is the only species that creates A.I.s, and intelligent computer technology has become a major export to alien races. Essentially the same thing as generators used in the 20th Century, except they are fusion-powered. The smallest can power an encampment, and the largest can run a small town. Most run on Helium-3 exclusively, but some models just need any hydrogen and oxygen supply. Cost: Varies, generally from 800 credits to 100,000, depending on needs. 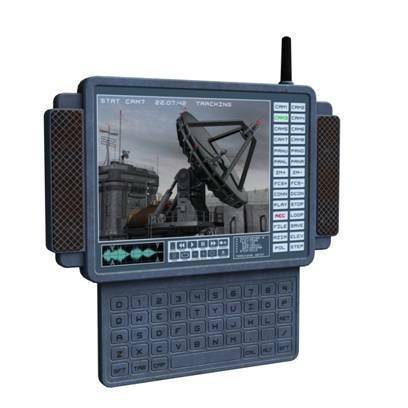 These are hand-held communication devices and terminals that allow the user to control or access a larger, non-portable computer. They are often used to control basic functions of ship computer systems, A.I. interfacing and security suites. They also are often used by scientific teams or surveyors in the field; allowing them to use their ship’s computer to analyze their findings in real time. 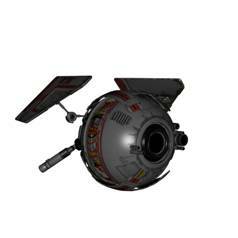 They cost about 700-1,000 credits and come in a variety of shapes and have a range of about 100 miles.